The return of the ‘Jurassic’ franchise after fourteen years has been welcomed with excitement and trepidation from die-hard fans of the original in particular, which has a vast array of fans and is almost universally loved. Director Colin Trevorrow’s only previous feature film was 2012’s quirky ‘Safety Not Guaranteed’, an intelligent and funny work that had a budget of $750,000, most of which was probably spent on one major special effects scene. 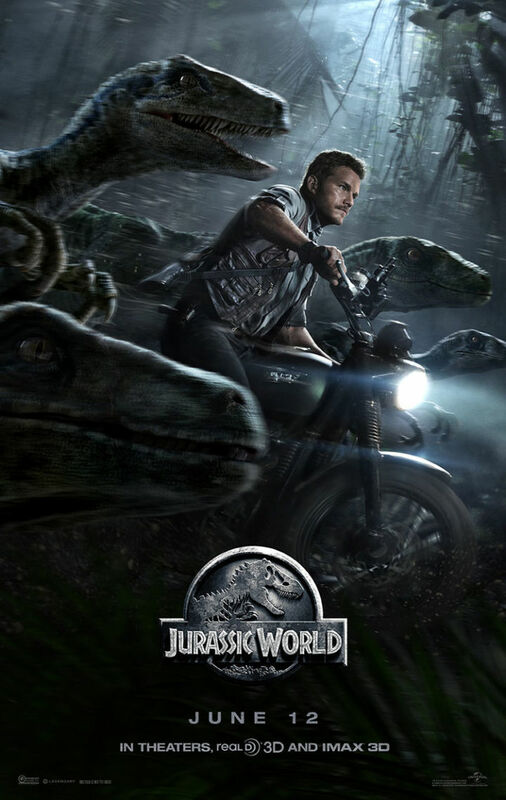 This film had a budget of a cool $150million and represents a massive step in to blockbuster film-making for Trevorrow which makes him a brave choice, but he holds the film together well and does the best he can with a by-the-numbers script that really is designed to cash in on the nostalgic value for the first film twenty two years ago. That is not to say that ‘Jurassic World’ is a bad film. It has spectacle in abundance and plenty of dinosaur action to keep the fanatics happy, and features strong performances from the likes of Nick Robinson, Chris Pratt and Bryce Dallas Howard. It’s nice to see Robinson in particular making huge leaps in his career from his sparkling performance in ‘The Kings of Summer’ a couple of years ago, and he definitely holds his own in a film where he’s expected to carry a lot of the narrative along with Ty Simpkins, who also puts in a strong performance that’s beyond his mere thirteen years. The problem is that it’s just not inventive enough to be anything more than watchable. There’s no real substance to the story beyond finding ways to make dinosaurs trample things and lots of the characters are so archetypal it feels a little like they’ve taken stock characters out of a screenwriting 101 book and thrown them on screen with very little work. Retread though it might be, there’s enough self-deprecating humour here for the film to glide by its formulaic issues and just allow us to enjoy the spectacle, which is just as epic as it was the first time and is a mark of Trevorrow’s ability to ensure it hangs together as a cinematic experience even if it lacks development in certain areas. It’s impossible to argue that a film predicated on the idea of re-opening a park that has been so catastrophic over the years isn’t ridiculous, but ‘Jurassic World’ doesn’t concern itself with real world questions. From the scientific mumbo-jumbo to the garbled plotline, all it’s really interested in doing is getting you to the next big crash, bang, roar or wallop from a dinosaur and it succeeds in doing that enough that it’s worthwhile as a piece of total escapism, and surely it’s too much to expect anything more than that from a film that relies on so much suspension of disbelief to allow it to work. ‘Jurassic World’ is a mindless thrillride, and it’s probably all the better for it for embracing that.